Nollywood actor turned lawmaker, Desmond Elliot has called on well meaning Nigerians to help save the life of Veteran actor, James Uche. The veteran actor has been battling high blood pressure, diabetes and kidney failure for about eight years, and is currently bed-ridden at Godspower Hospital, 32 Road, C-Close, House 7, Festac Town, Lagos State. 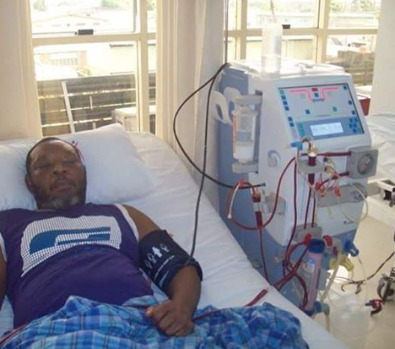 Appealing to Nigerians via Instagram, Desmond Elliot wrote, “When God blesses u, remember others, Prince James Uche Nollywood actor has been in hospital struggling to live for over one year now (kidney failure), my fellow artists, great people & friends pls support him, he needs dialysis, medical care & food to survive. Prince James Uche, WEMA bank PLC 0232151677, or Zenith bank plc. 1001063788″.